A Successful WinterKids 7th Annual Downhill 24 is on the books! 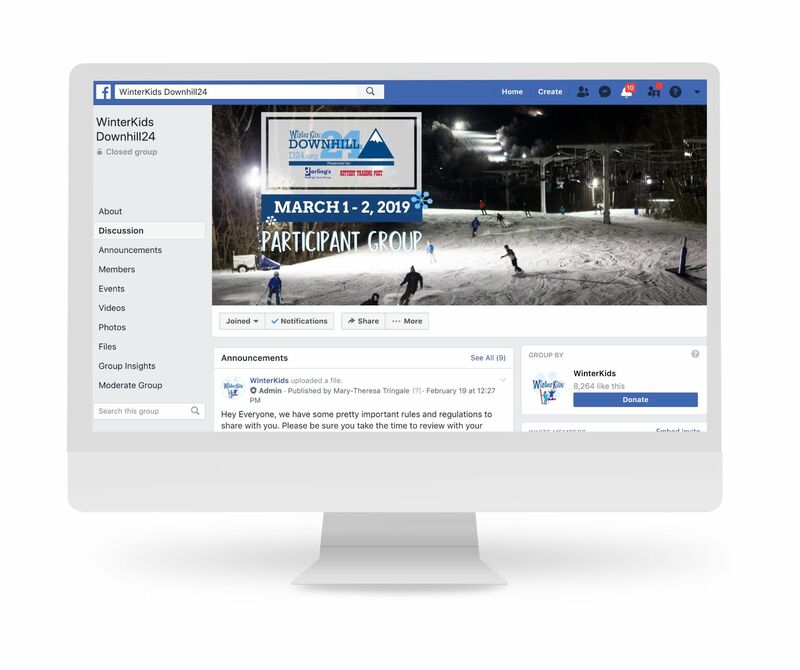 The 7th Annual Downhill 24 event is a ski and snowboard challenge where participants are encouraged to test their endurance and stay on the mountain for the full 24-hours. Participants: Be sure to join our private Downhill24 Facebook Group to be the first to hear when we announce updates, share motivation and milestones, learn about your fellow DH24-ers and have fun! In an effort to offer the safest environment possible for all participants, we have established rules that will be taken very seriously. If you are participating in this year’s D24, please take a moment to review them carefully. UNDER 16 TEAM (eligible for NEW Kid of the Mountain Cup-exact name TBD). 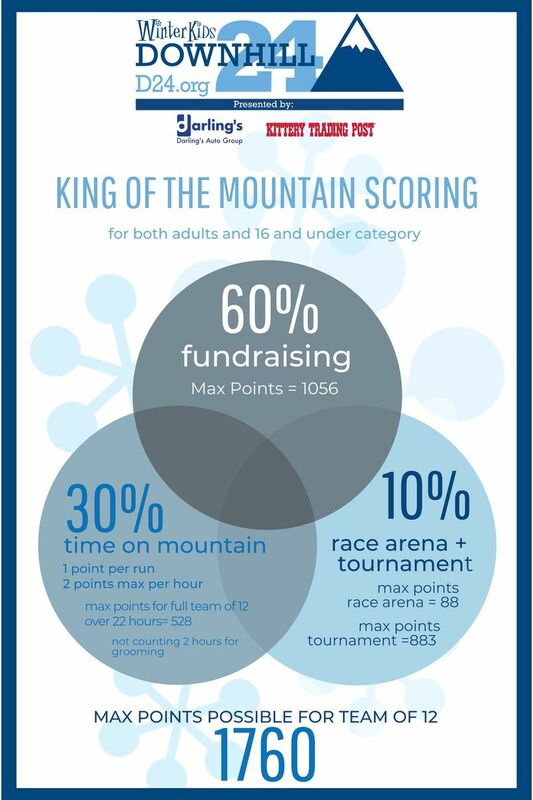 PLEASE NOTE: By selecting “Under 16 team,” all team participants must be 16 years old or younger AND will not be eligible to compete for the adult/mixed “King of the Mountain Cup”. No Fundraising min. Up to 12/team. 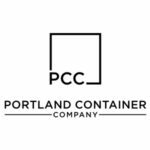 Sponsored by Portland Container Co.
Have Questions About Setting Up a Team? Fill out the contact form below, and Mary-Theresa will get back to you as soon as possible. How do I donate to a specific participant? 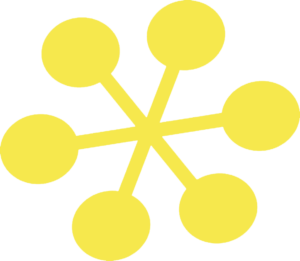 FIND BY TEAM: scroll through all the teams to find the participant’s team. Once you do, click on the team to get to the “team page”. Once there, click on “The Team” tab which will show you all team members. You can select the participant you want to donate to and select the “DONATE” button in the top right of their page to make your donation. FIND BY FUNDRAISER: you can click on “Top Individuals” and scroll down until you find your participant. This will bring you to their individual fundraising page. Select the “DONATE” button in the top right of their page to make your donation. In an effort to offer the safest environment possible for participants, we have established rules that will be taken very seriously. Thank you in advance for your understanding! Have fun! Skiers/snowboarders ahead of you always have the right of way – they don’t know what you’re doing behind them. Be sure to yield and give a glance uphill when the trail you are on is merging with another one. Avoid stopping in anyone’s way. Do not stop in the middle of a trail. Do not drink alcohol and ski or ride. Stop skiing and take a break when feeling tired. Any run that clocks in faster than 13 minutes will be disqualified This is not a race – but a friendly fundraiser! During daytime hours participants can utilize any trail on Sugarloaf – you MUST be wearing your event BIB and your event Sugarloaf lift ticket or Sugarloaf pass. Both the Superquad and Double Runner lifts will have timing mats for tracking runs. After 4 pm and first grooming, participants will only use the Double Runner Lift and the Spillway to Boardwalk trail (follow the lights). Anyone who is caught going off trail may have their Sugarloaf pass and privileges revoked. Each participant will have their own timing chip. You will get 1 point for each run, with a max of two runs per hour. Any run that is faster than 13 minutes will be thrown out (safety first). You can check out your score/number of points you have at the official timing trailer by the Sugar Shack. Everyone must show ID and sign for their timing chips (Adults sign for children under 18). Timing chips must be used by those they are assigned to – this is a safety hazard. 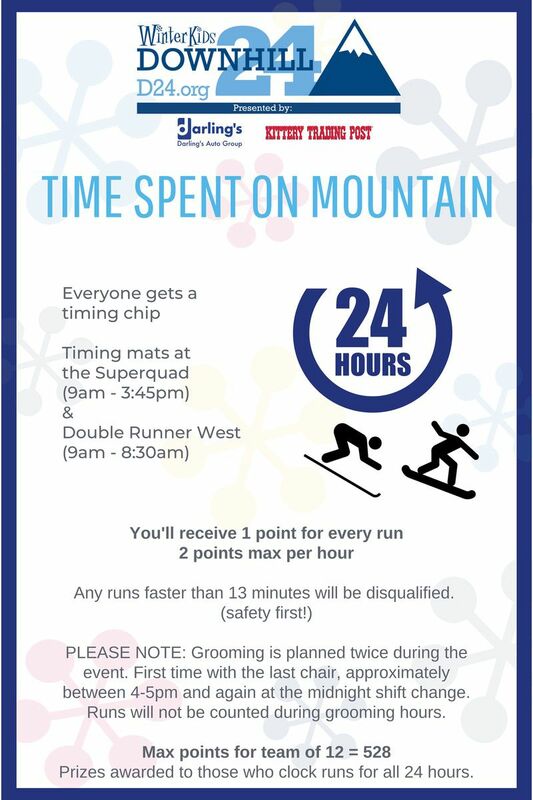 All timing chips must be returned by 10am on Saturday, March 2 to WinterKids volunteers or timing team. You can return at registration or at timing table on beach during Closing Ceremonies. Sleeping only permitted in the designated “sleeping area” in the king pine room. Do not drop trash from lift (WinterKids volunteers have to clean that up). Please throw all on-mountain trash away at mid-mountain party in trash barrels. How do I register and what are the fees? Please have your TEAM CAPTAIN create and register the team by CLICKING HERE. PLEASE NOTE: Team Captain should be a participant of the Downhill 24 event. Please do not register the team if you are not participating in the event. 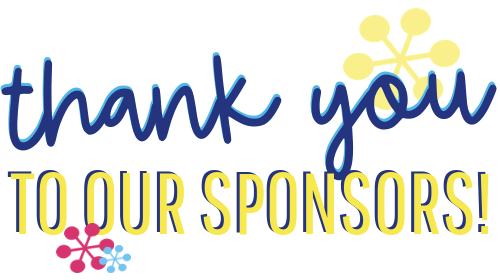 Once the team is registered, the Team Captain will be sent a promo code from Mary-Theresa (if you haven’t heard from M-T, reach out at Mtringale@winterkids.org). Once the Team Captain receives the promo code, they will send it around to all team participants. Team participants register HERE by using the promo code to receive NO CHARGE (do not approve a charge of any kind). Be sure you select the correct team name to join. If you don’t know the team name, please ask your Team Captain. Be on the lookout for your registration confirmation email as it will contain links to help you set up your fundraising page, team page and more! Please have your TEAM CAPTAIN create and register the team by CLICKING HERE and using the promo code to sign up. PLEASE NOTE: Team Captain should be a participant of the Downhill 24 event. Please do not register the team if you are not participating in the event. Once the Team Captain registers the team, they will send around promo code to all additional teammates so they can register. Please share the team name. Once the team is registered, the Team Captain should send around an email to all teammates to inform them the team has been created. Be sure to include the NAME OF YOUR TEAM so teammates can make the right selection at registration. Whoever creates the team instantly becomes the team captain. You will be the pain point of contact for your team with WinterKids. If there is someone else on your team who should be receiving the important information for the day, please contact M-T at mtringale@gmail.com and let her know. If you are joining a corporate team or a sponsor team, please remember to enter the PROMO CODE (provided to you by your team captain) otherwise, you will be charged with registration. If you are registering on behalf of someone else, please DO NOT ENTER YOUR OWN INFORMATION. Only enter the information of the participant. We must have accurate information in our database for all participants. How many people have to be on a team? Teams are made up of anywhere between 1 – 12 people, the size of your team is up to you! How many hours do we have to spend on the mountain? You can ski/snowboard as little or as much as you would like. There are no requirements for having to stay on the mountain for the full 24 hours – although we challenge you to try! We will be prizing anyone who stays on the mountain for the full 24 hours and gets at least 1 run with a Downhill24 coffee mug. However, there are no penalties to the team if participants do not get in the runs. You only earn points for getting the runs in, you don’t lose any if you don’t. How do I get “time on mountain” points for my team? Runs are clocked at the Double Runner West Lift (for 24 hours) and Superquad Lift (only during regular mountain hours). What is the King of the Mountain and Kids Cup? These are the BIG most competitive prizes awarded at the Downhill24. The “King of the Mountain” cup is for adult/mixed aged teams and the “Kids Cup” is for teams that are 16 years and younger. What are the other prize categories other than King of the Mountain or the Kids Cup? PLEASE NOTE: You can ski as little or as much as you would like, you won’t be penalized for not having teammates on the mountain but you also won’t qualify for certain prizing. The idea is to challenge yourself to stay on the mountain for 24-hours, but you don’t have to if you don’t want to. Time on mountain details: 1 point per run, 2 points max per hour. Each member of the team gets a timing chip. What if someone wants to donate to my fundraiser with a check? 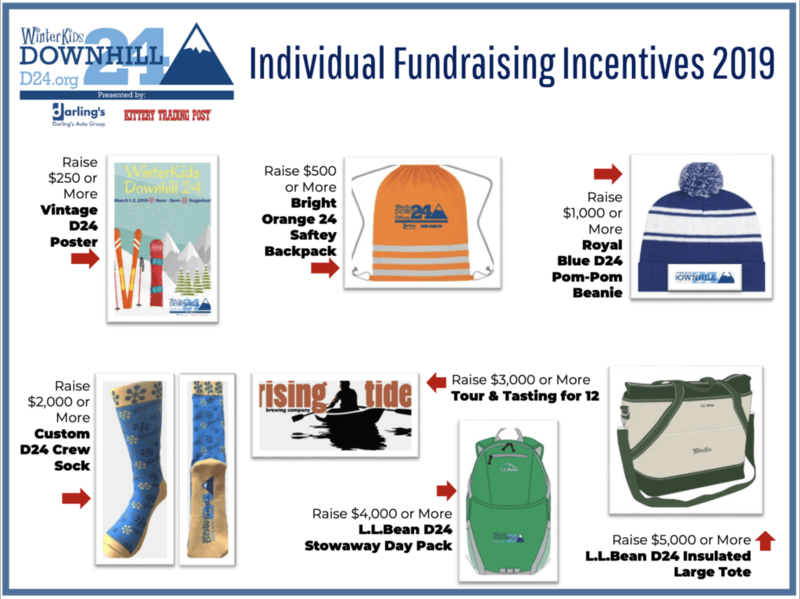 What are the 2019 Fundraising incentives? What should I say to people when I ask them to donate? 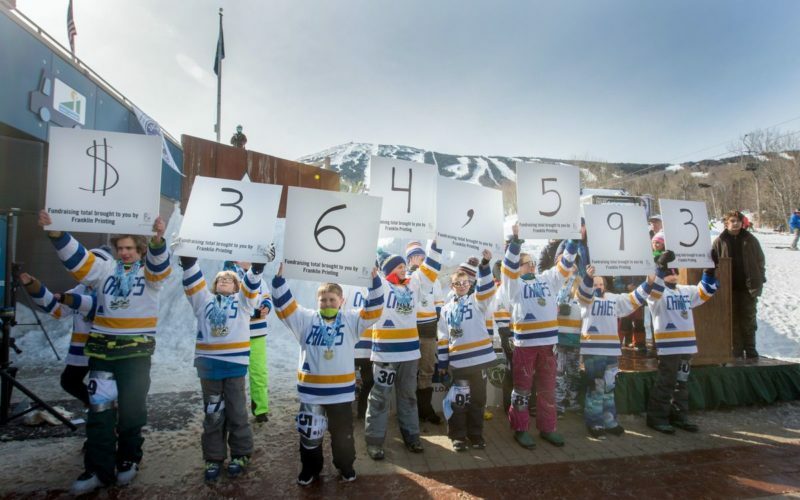 Download out our WHY WINTERKIDS document, and share with friends and family to help your fundraising outreach. 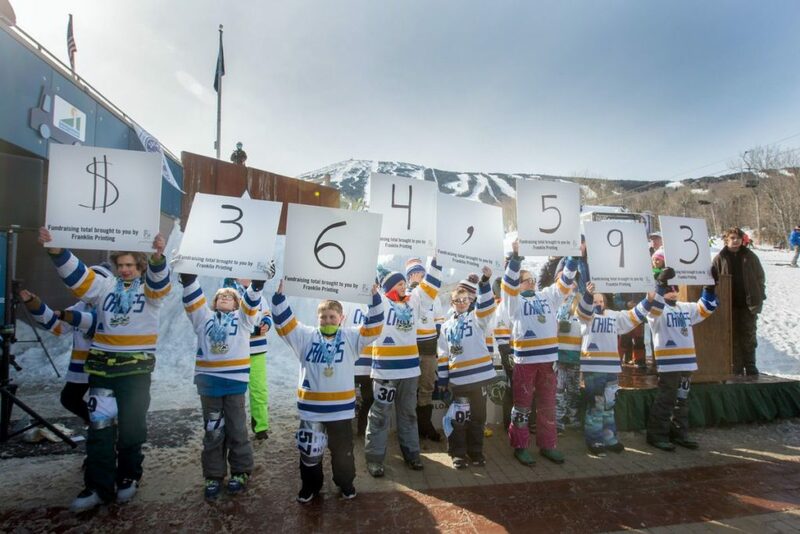 Learn exactly how donations support WinterKids and share this PDF with potential donors. Share this video from one of our participating school in the WinterKids Winter Games – what our programs are all about! How is the Race Arena going to be scored and when is it open? 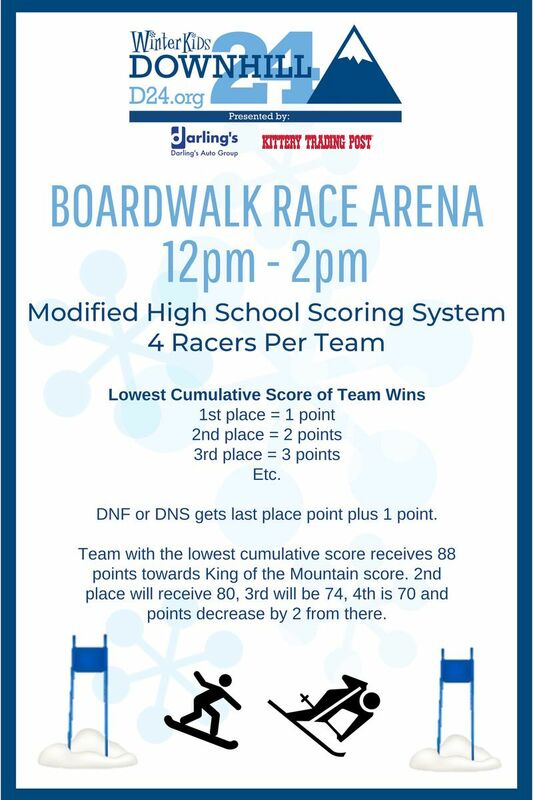 The Boardwalk Race Arena will be open from Noon – 2pm on Friday, March 1 and will be scored using the Modified High School Scoring System. How is the Inflatable Obstacle Course going to be scored and when is it open? 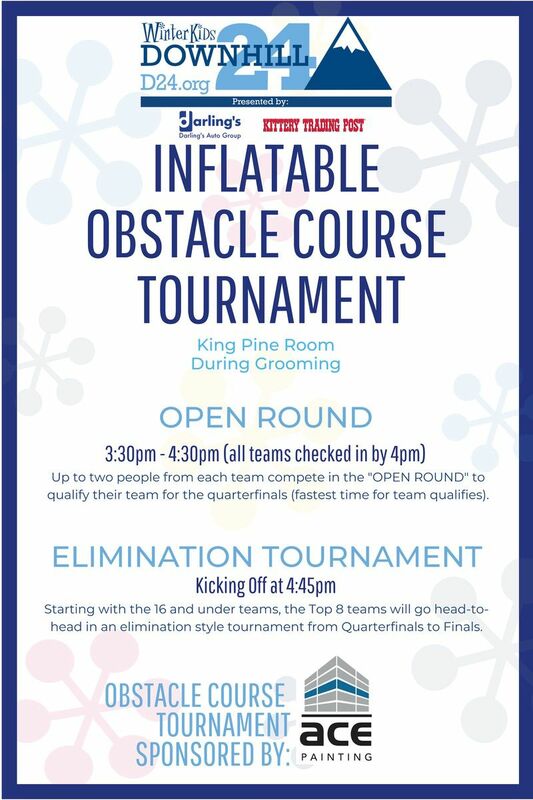 The Inflatable Obstacle Course will happen in the King Pine room and teams can register up to 2 people to compete in the Open Round starting at 3:30 – all teams must be registered by 4pm and the Open Round will run heats until 4:30. Starting at 4:45, the top 8 teams will go head-to-head tournament style from quarter-finals to finals. What trail will we be skiing/snowboarding down? From 9am – last chair on Friday you can ski the entire mountain, timing mats are at the Double Runner West lift and the Superquad Lift. From 4pm (or after grooming is complete) you will remain on the same chair and trail for the remainder of the event. This will be the Double Runner West lift and the trail will be Lower Spillway to Boardwalk. Need Housing? Get 20% Off! Sugarloaf is offering a special 20% off discount to Downhill 24 participants! 3. Save 20% on your stay! Sign up for our email list, and you'll be in the know on upcoming events and programs!